Tea tree oil is an aromatic oil that actually has many good uses. It smells great, naturally kills bacteria and even helps sooth skin. We are going to list a few things you can use tea tree oil for so you can get the most out of it! We all know that over time your toothbrush can get very dirty, and aside from going right out and buying a new one, tea tree oil can be used to clean it. Simply just put a drop of it on your toothbrush every now and then. To Get rid of mold and keep it from coming back you will need to mix a drop of tea tree oil with one cup of water in a spray bottle. Generously spray down the moldy areas and let it sit for 5-10 minutes and wipe it away. Tea tree oil can be applied to a place where you might be getting insects or want to prevent from getting them all together. 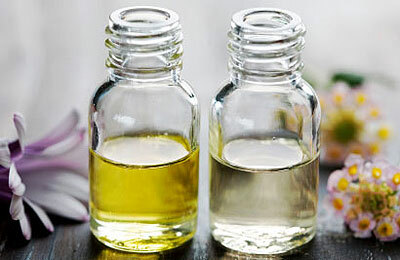 Insects and other bugs do not like the smell of tea tree oil. Tea tree oil solutions are great for use on bathroom tile, shower & tub. Also works well for bathroom counter tops and sinks, and it will prevent any mold and mildew growth! Mixing it with salt or baking soda will help get out harder stains. Throw in a couple drops of tea tree oil in with your clothes before you wash them. It will help give your clothes an extra fresh scent and will also kill and bacteria that might be lingering around in your washing machine. A common problem people have is forgetting to put their clothes in the dryer in time only to come to a load of wet stinky laundry. Running them again with warm water and tea tree oil will get rid of the smell and save you from using more detergent! Using the same solution as the mold treatment, mix a drop of tea tree oil and a cup of water in a spray bottle and you have yourself your own homemade all-purpose cleaner. Use it on wood, stone, ceramic tile and more! Using tea tree oil on wood will help repel insects. Preferably do not use this directly on a kitchen table or areas where you eat, but it is perfect for furniture on your deck and in the house. When you store your clothing, use cotton balls soaked with tea tree oil to keep out moths and other bugs. Use tea tree oil on stinky exercise equipment like gym shoes, hockey bags, helmets and anything else that tends to have a lingering odor. The oil also helps kill bacteria that comes from sweat during exercise.